Image shown does not reflect actual size. See below for dimensions. 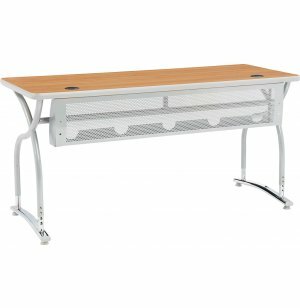 This computer table provides an excellent space for students to do homework or conduct research for a project. 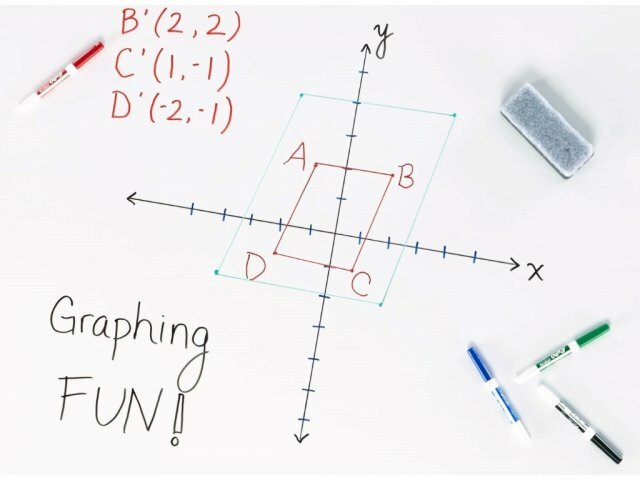 Illustrations V2 Computer Tables are the perfect choice for your computer lab, training room or classroom. A distinctly modern design, durable build and great features make them a great choice for the long term. 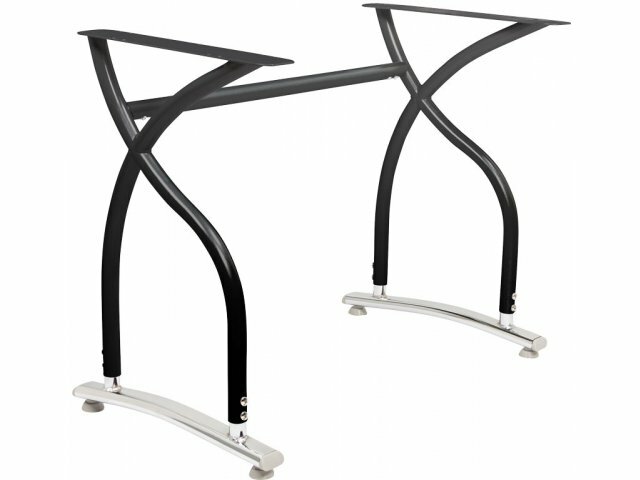 Their sturdy frames sport unique contemporary contours that will update your space with a sleek aesthetic. 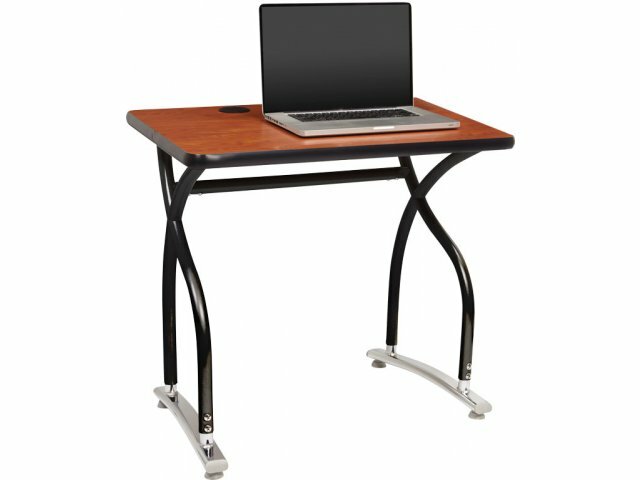 These computer tables have everything you need to keep a comfortable and organized workspace. A wire-management tray and grommet holes are provided for easy and safe organization of computer cables and electrical wires. Adjustable-height legs promote healthy positioning while PVC T-molded edge banding protects the work surface. An optional knapsack hook adds the final touch. 16-gauge Steel Cross Bars, 1.75"
Low-Maintenance: High-pressure laminate tabletop resists scratches and stains, and cleans off easily. Surface Protection: PVC T-mold edging won't peel off despite heavy usage. Functional Organization: Wire management tray and grommet holes enable computer cables and wires to be organized efficiently and safely. Convenient Design: The wire-management tray acts as a modesty panel as well. Built to Last: Frames made of 14- and 16-gauge steel offer superior strength. 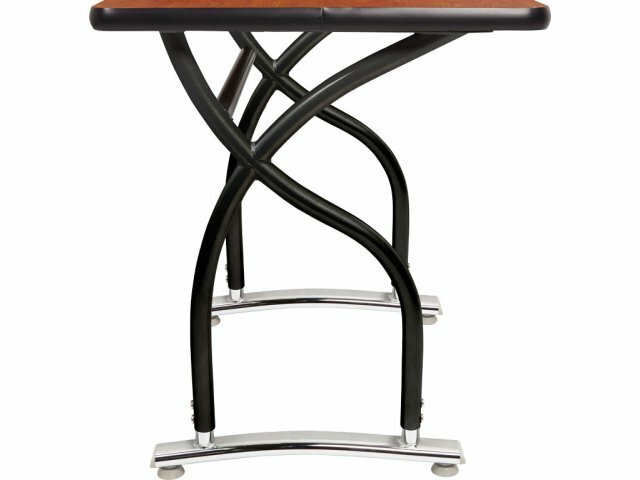 Adjustable Height: Adjustable-height legs offer extra comfort and flexibility - can be used for computer courses from junior high and up. No Hassle: Self-leveling glides automatically adjust to keep the work surface flat. 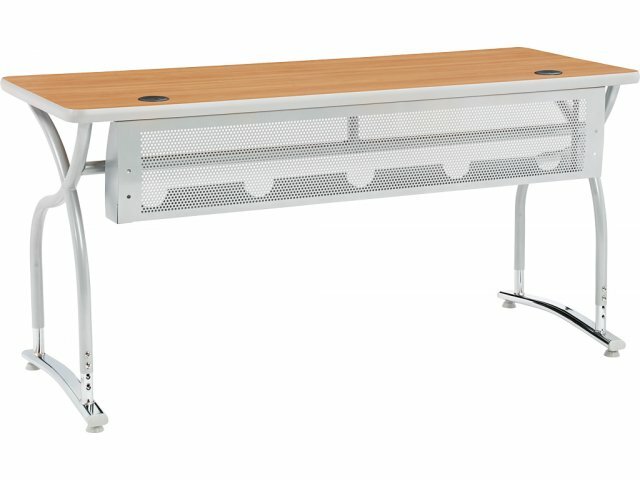 Abundant Choices: Optional casters, bag hook, connector bridge, modesty panel end caps and power port available.